I can see an excellent entrance to the usd/jpy market after reaching the 121.24 level. The price will go down. So you are going to go short at 121.24? What if the price continues higher? Where will you get out? Where will you go long? 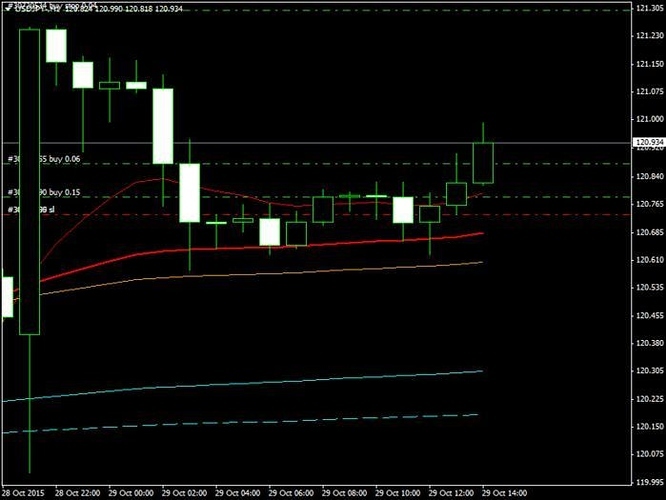 I can see an excellent entrance to the usd/jpu market after reaching the 120.90 level. The price will go down. As attention is turning to the BoJ at the end of the week, RBS and Goldman Sachs examine the potential response of USD/JPY to possible BoJ actions. RBS’ base case is for no BoJ easing on Friday, while GS sees further easing at this meeting. "1- If the BoJ stays on hold and only marginally lowers forecasts, dollar-yen will fall sharply back into its recent 115-120 range. 4- If the BoJ eases sharply by raising its ¥80trn a year JGB buying, dollar-yen will trade in a higher 120-125 range," RBS argues. "We think the probabilities for the BoJ’s four scenarios above are 40%, 30%, 15% and 15% respectively. -Our base case remains no easing this Friday and a sharp post-meeting bounce in the yen." RBS projects. -Our base case is for the BoJ to undertake: a maturity extension of existing JGB purchases, an increase in the run-rate of JGB purchases from 80 to 90 JPYtn per year, and an increase in ETF purchases from 3 to around 5 JPYtn, GS projects. “The call this week is a close one, but even if policy is unchanged at this week’s meeting we think the BoJ will ultimately need to loosen policy as their inflation forecast moves further out of sight – we see further $/JPY upside as a result,” GS adds. "We think $/JPY should move through 125 in the wake of the meeting should the BoJ ease as we expect. With further upside expected from our base case and with an IOER cut an outside chance, the risk-reward in long $/JPY looks favourable into the meeting," GS advises. There is a bullish trend developing on usd/jpy pair. I’m having a ask order. It seems to me that the asset will go for breaking the upper bound after reflecting from the bottom line. As the price has reached the level of support, I think that now it will go up. I expect the price to grow up to 117 level approximately. Around this level I will set the take profit order. 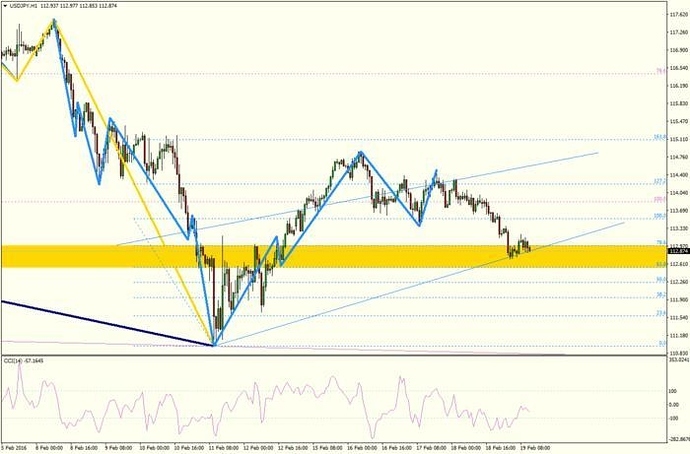 Price is now testing H1 wedge patterns support. I think that it is more likely for price to move higher to 114.80, 114.90. Even test daily wedge resistance at 116.70. Because it needs to correct itself to the upside after such big drop down. I think that usdjpy asset will go down more. The price on USD/JPY moves to resistance level. When 1.114 mark will be passed, I’m gonna buy. I can see an excellent entrance to the USDJPY market after passing/reaching the 114.8 level. There is a bearish trend developing on USD/JPY pair. On the 30min chart, usdjpy is 400 half hour periods away from the 200sma which is very overextended. I’m looking for a short term bounce, but very aware of how strong this trend is, so reduced trade size is in order. If I get a half hour close above the recent resistance at 108.33, I’m looking to buy with a stop bellow the middle bollinger band, looking for 109.00. I expect the price to grow up to 107,67 level approximately. Around this level have set the take profit order.